Birth. December 21, 1850, Bagnaia, diocese of Viterbo, Italy. Education. Studied at the Seminary of Viterbo; then, at the Pio-Roman Seminary, Rome, from 1869; and finally at the Pontifical Roman Athenaeum "S. Apollinare", Rome, where he obtained doctorates in philosophy, theology and utroque iure, both canon and civil law. Priesthood. Ordained in 1874. In the diocese of Viterbo, pastoral ministry; for twenty-five years professor of history and Sacred Scripture in its seminary; canon theologian and later canon archdeacon of its cathedral chapter; vicar capitular; vicar general, 1885-1904. Domestic prelate of His Holiness, June (or July) 12, 1889. Apostolic delegate and extraordinary envoy to Colombia, September 7, 1904; during his delegation, he favored the opening of the Panama Canal in that country. Episcopate. Elected titular archbishop of Mira, September 16, 1904. Consecrated, September 25, 1904, chapel of Collegio Pio-Latinoamericano, Rome, by Cardinal Rafael Merry del Val, secretary of State, assisted by Antonio Maria Grasselli, O.F.M.Conv., bishop of Viterbo, and by Domenico Rinaldini, bishop of Montefiascone. Nuncio in Spain, with faculties of legate a latere, February 9, 1913 until 1921; while in Spain, he visited the workshop of the church of Sagrada Familia, and was very impressed by its symbolism; he told Antonio Gaudí, the architect, whose cause of beatification has been introduced, that because of the richness of the symbols used in the design of the church, he was the Dante of architecture. Cardinalate. Created cardinal priest in the consistory of March 7, 1921; with an apostolic brief of March 7, 1921, the pope sent him the red biretta; King Alfonso XIII of Spain imposed on him the red biretta in the chapel of the Royal Palace, Madrid, together with neo-Cardinals Francisco de Asís Vidal y Barraquer, archbishop of Tarragona, and Juan Bautista Benlloch y Vivó, archbishop of Burgos; received the red hat and the title of S. Marcello, June 16, 1921. Participated in the conclave of 1922, which elected Pope Pius XI. Papal representative to the Eucharistic Congress of the Upper Lazio, Italy, May 1924. Prefect of the Supreme Tribunal of the Apostolic Signature, March 9, 1926. Camerlengo of the Sacred College of Cardinals, December 17, 1928 until July 15, 1929. Death. September 14, 1931, in the mother-house of the Sisters of the Sacred Heart of Jesus, Poggio a Caiano, Pistoia, where he had gone to recover his health. The body was transferred to Rome, where on September 17, in the church of S. Carlo al Corso, took place the funeral in the presence of eight cardinals; Cardinal Tommaso Pio Boggiani, O.P., dean of the Sacred College of Cardinals, imparted the final absolution. Buried, temporarily, in the chapel of the Archconfraternity of Ss. Ambrosio e Carlo in Campo Verano cemetery, Rome. Later, his remains were transferred to the chapel of Liceo Scientifico Cardinal Ragonesi, of the Marist Brothers, Viterbo, and deposited in an urn. Bibliography. Alberti, Ottorino. "Card. Francesco Ragonesi" in La Pontificia Università lateranense : profilo della sua storia, dei suoi maestri, e dei suoi discepoli. Roma : Libreria editrice della Pontificia Università lateranense, 1963, p 420; "Em. Ragonesi (François), préf. de la Signature ap." in "Nécrologe", Annuaire Pontifical Catholique de 1932. Paris : Maison de la Bonne Presse, 1932, p. 917; Pięta, Zenonem. Hierarchia Catholica Medii et Recientoris Aevi. Volumen IX (1903-1922). Patavii : Typis et Sumptibus Domus Editorialis "Il Messaggero di S. Antonio" apud Basilicam S. Antonii, 2002, pp. 18, 23 and 263; Ragonesi, Francesco. Discursos y alocuciones del Excmo. Sr. Cardenal F. Ragonesi mientras fuê Nuncio de Su Santidad en España : 1913-1921. Madrid : Tip. de la Rev. de Arch. Bibl. y Museos, 1926; Ragonesi, Francesco. El hábito del órden blanco supremo de la educación en las escuelas. Madrid : Sucesores de Rivadeneira (S.A.), 1920. Responsibility: discurso leído por el... Sr. D. Francesco Ragonesi Nuncio apostólico, con motivo de la inauguración del curso académico en el Seminario y Universidad Pontificia de Comillas, el día 1o. de Octubre de 1919; Ragonesi, Francesco. Sobre los estudios sociales; alocución del nuncio de Su Santidad en España, Monseñor Ragonesi, a los alumnos del Seminario pontificio de Comillas. Barcelona : "Acción Social Popular", [s.d.]. (Folletos blancos de la A.S.P. ; Serie A, no. 2); Ragonesi, Francesco. La Sociología en los seminarios : alocución dirigida a los alumnos de Comillas (Santander) por... Mons. F. Ragonesi, Arzobispo de Mira y Nuncio Apostólico en estos reinos. Madrid : Tip. Revista de Arch., Bibl. y Museos, 1915; Restrepo Posada, Jose. "Galería de representantes de la Santa Sede en Colombia," Revista de la Academia Colombiana de la Historia Eclesiástica, V (January-June, 1970), 221-224. Webgraphy. Biography, in English, Wikipedia; photograph and portrait, Araldica Vaticana. Birth. March 5, 1869, Klosterheidenfeld, diocese of Würzburg, Germany. Third of the seven children of Michael von Faulhaber and Margarete Schmitt. He had a brother, Robert, who also was a priest; and a sister, Katharina, who accompanied Michael as archbishop and cardinal. Received the sacrament of confirmation, May 10, 1880. Education. Studied at the Seminary of Schwenfurt from 1879 until 1883; then, at the Major Seminary of Würzburg from 1883 until 1888; and later, at the University of Würzburg, where he obtained a doctorate in theology on May 6, 1895. Priesthood. Ordained, August 1, 1892, Würzburg, by Bishop Franz Joseph von Stein of Würzburg. Pastoral ministry in the diocese of Würzburg: chaplain in Kitzingen, 1892-1893. Prefect of studies in the Minor Seminary of Würzburg, 1893-1894. Prefect of studies at the Kilianneum, Würzburg, 1893-1895. Chaplain and vicar rector in the Teutonic Hospital of S. Maria del'Anima, Rome, 1896-1898; conducted research in libraries in Rome and other Italian cities. Parish vicar in Holzkirchen, 1898-1899. Professor of Sacred Scriptures at the University of Würzburg, 1899; and professor of Old Testament exegesis at the University of Strasbourg, 1903-1911. Episcopate. Elected bishop of Speyer, January 7, 1911. Consecrated, February 19, 1911, cathedral of Speyer, by Cardinal Franz von Bettinger, archbishop of München und Freising, assisted by Ferdinand Schlor, bishop of Würzburg, and by Adolphe Fritzen, bishop of Strasbourg. His episcopal motto was Vox temporis vox Dei. Promoted to the metropolitan see of München und Freising, July 24, 1917. Assistant at the Pontifical Throne, January 17, 1920. Cardinalate. Created cardinal priest in the consistory of March 7, 1921; received the red hat and the title of S. Anastasia, March 10, 1921. Participated in the conclave of 1922, which elected Pope Pius XI. Papal legate to the Eucharistic Congress, Speyer, July 7, 1930. He was one of the principal authors of the encyclical Mit brennender Sorge, published by Pope Pius XI in 1937, by which the Vatican confronted the the Nazi regime and opted for a reconciliation between Catholics and Jews. Participated in the conclave of 1939, which elected Pope Pius XII. Shortly after a failed attempt on the life of Adolf Hitler in Münich in 1939, Cardinal Faulhaber sent a telegram in which he admitted the action of "divine providence" to save his life and tolled the bells of the cathedral in a Te Deum convened to pray for the life of Hitler. Cardinal protoprete, March 13, 1952. Death. June 12, 1952, München. Buried, metropolitan cathedral, München (1). Last surviving cardinal of Pope Benedict XV. Bibliography. Akten Kardinal Michael von Faulhabers : 1917-1952. Bearb. von Heinz Hürten unter Benutzung der Vorarbeiten von Ludwig Volk. 3 vols. Paderborn : Schöningh, 1975-2002. (Veröffentlichungen der Kommission für Zeitgeschichte ; Reihe A ; Quellen ; Bd. 48). Contents : 1. 1917-1934 -- 2. 1935-1945 -- v. 3. 1945-1952; Episcopus; Studien über das Bischofsamt ; seiner Eminenz Michael Kardinal von Faulhaber, Erzbischof von München-Freising zum 80. Geburtstag. Regensburg : Gregorius-Verlag vorm. Friedrich Pustet, 1949. Responsibility : Dargebracht von der Theologischen Fakultät der Universität München; Festschrift Kardinal Faulhaber zum achtzigsten Geburtstag. München : J. Pfeiffer, 1949. Responsibility : dargebracht vom Professorenkollegium der Philosophisch-theologischen Hochschule Freising; Forstner, Thomas. Kardinal Michael von Faulhaber 1869-1952 : eine Ausstellung des Archivs des Erzbistums München und Freising, des Bayerischen Hauptstaatsarchivs und des Stadtarchivs München zum 50. Todestag, München, 6. Juni bis 28. Juli 2002. München : Generaldirektion der Staatlichen Archive Bayerns ; München : Archiv des Erzbistums München und Freising, 2002. (Ausstellungskataloge der Staatlichen Archive Bayerns, Nr. 44). Responsibility : Bearbeiter des Katalogs: Thomas Forstner, Susanne Kornacker, Peter Pfister; Klier, Johann. Von der Kriegspredigt zum Friedensappell : Erzbischof Michael von Faulhaber und der Erste Weltkrieg : ein Beitrag zur Geschichte der deutschen katholischen Militärseelsorge. München : Kommissionsverlag UNI-Druck, 1991. (Miscellanea Bavarica Monacensia ; Bd. 154; Neue Schriftenreihe des Stadtarchivs München). Note : Originally presented as the authors thesis (doctoral)--Universität der Bundeswehr, 1990; Leers, Johann von. Der Kardinal und die Germanen. Hamburg : Hanseatische Verlagsanstalt, 1934. Note : Eine Auseinandersetzung mit Kardinal Faulhaber; Michael Kardinal Faulhaber : 25 Bischofsjahre. München : A. Huber, 1936. Responsibility : hrsg. vom Priesterverein der Erzdiözese München-Freising; Pięta, Zenonem. Hierarchia Catholica Medii et Recentioris Aevi. Volumen IX (1903-1922). Patavii : Typis et Sumptibus Domus Editorialis "Il Messaggero di S. Antonio" apud Basilicam S. Antonii, 2002, pp. ; Reiser, Rudolf. Kardinal Michael von Faulhaber : des Kaisers und des Führers Schutzpatron. München : Buchendorfer, 2000. Webgraphy. Biography, in English, New Schaff-Herzog Encyclopedia of Religious Knowledge; photograph, coat of arms, and biography, in German, archdiocese of München und Freising; photograph, Kulturreferat der Landeshauptstadt München; photograph, portrait and arms, Araldica Vaticana; El cardenal von Faulhaber y Hitler by Enrique Müller, Berlín 16 Oct 2013 - 01:12 CET; Il cardinale che non piaceva ai nazisti by Marco Roncalli , Avvenire, 25 ottobre 2013; 15,000 days in the Life of a Bishop: Long-Term Project Prepares an On-Line Edition of the Diaries of Cardinal Michael von Faulhaber, Archbishop of Munich by Hubert Wolf, University of Münster, Contemporary Church History Quarterly, Volume 20, Number 2 (June 2014). Birth. August 16, 1865, Honesville (1), parish of Ashland, Schuylkill, diocese of Philadelphia, Pennsylvania, United States. He was the sixth of the ten children of Patrick Dougherty, a coal miner, and Bridget Henry, a homemaker, both from County Mayo, Ireland. He was baptized in the church of St. Joseph, Ashland, by Father Michael A. Sheridan, with the name Denis Joseph. He was nicknamed "Dinny" by his parents. He received the sacrament of confirmation from James Frederick Bryan Wood, archbishop of Philadelphia. He worked as a breaker boy in the coal mines. Education. Initial education, at the public school in Ashland, until he was ten years old; high school in Girardville, until 1880; then, he applied for entrance at St. Charles Borromeo Seminary, Overbrook, Pennsylvania, but he was considered too young and Archbishop James Frederick Wood of Philadelphia sent him to Sainte-Marie College, Montréal, Canada, which was run by the Jesuit Fathers (classics and complete mastery of French); entered St. Charles Borromeo Seminary, Overbrook, in 1882; studied there until 1885, when, in September of that year, he was sent to the North American College, Rome; studied at the Pontifical Urbanian Athenaeum "De Propaganda Fide," Rome (doctorate in theology). Priesthood. Ordained, May 31, 1890, patriarchal Lateran basilica, patriarchal Lateran basilica, Rome, by Cardinal Lucido Maria Parocchi, vicar general of Rome. Professor of Latin, English, history and theology at St. Charles Borromeo Seminary, Overbrook, 1890-1903. Archdiocesan official of Philadelphia, 1890-1903; fiscal promotor; prosynodal examiner; and procurator. Episcopate. Elected bishop of Nueva Segovia, Philippines, June 12 (2), 1903. Consecrated, June 14, 1903, Rome, by Cardinal Francesco Satolli, assisted by Pietro Gasparri, titular archbishop of Cesarea, secretary of the S.C. of Extraordinary Ecclesiastical Affairs, and by Enrico Grazioli, titular archbishop of Nicopolis. His episcopal motto was Crucis in signo vinces. Transferred to the see of Jaro, Philippines, June 21, 1908. Transferred to the see of Buffalo, New York, December 9, 1915. Promoted to the metropolitan see of Philadelphia, retaining the administration of the diocese of Buffalo until taking possession of his new see, May 1, 1918. During his episcopate in Philadelphia, he had 106 new parishes established, 75 new churches built, 22 others renovated, 20 new ecclesiastical buildings mostly for the wide-flung social services, 146 new schools and academies, 7 homes for the aged, 7 orphanages, 3 retreat houses for women, 1 for men, and a magnificent new seminary. Cardinalate. Created cardinal priest in the consistory of March 7, 1921; received the red hat and the title of Ss. Nereo ed Achilleo, March 10, 1921. Arrived late to the conclave of 1922, which elected Pope Pius XI. Papal legate to the 33rd International Eucharistic Congress, Manila, Philippines, January 1, 1937. Participated in the conclave of 1939, which elected Pope Pius XII. Papal legate to the National Eucharistic Congress, St. Paul, Minn., United States, June 8, 1941. Cardinal protoprete, July 6, 1945. Death. May 31, 1951, at 9.15 a.m., of a stroke, while removing the liturgical vestments shortly after celebrating a mass marking the sixty-first anniversary of his priestly ordination, at the archiepiscopal residence in Philadelphia. His body was laid out in state at St. Martin's chapel of Saint Charles Borromeo Seminary, Overbrook, Wynnewood; and later at the cathedral basilica of Sts. Peter and Paul. The funeral mass, in which over 1200 people participated, was celebrated at the cathedral basilica, and presided by his nephew, Joseph Carroll McCormick, titular bishop of Ruspe, auxiliary of Philadelphia. The homily was delivered by Hugh Louis Lamb, titular bishop of Elo, auxiliary of Philadelphia. Four cardinals, ten archbishops, twenty five bishops and over 1000 priests participated in the mass. After the mass, he was buried in the crypt of that metropolitan cathedral basilica (3). Bibliography. Code, Joseph Bernard. Dictionary of the American Hierarchy (1789-1914). New York : Publishers Joseph Wagner, Inc., 1964, p. 72; Finn, Brendan A. Twenty-four American cardinals. Boston : Bruce Humphries, 1947, p. 123-148; Fox, Francis M. Life and work of His Eminence D. Cardinal Dougherty : and history of St. Charles Seminary June 10th 1928. Philadelphia, Pa. : Catholic Standard and Times, 1928; Nolan, H.J. "Cardinal Dougherty : an appreciation." Records of American Catholic Historical Society of Philadelphia, LXII (1951), 135-141; Thornton, Francis Beauchesne. Our American princes. The story of the seventeen American cardinals. New York : G. P. Putnam's Sons, 1963, pp. 110-118. Webgraphy. Photograph and biography, in English, Wikipedia; photograph and biography, in English, Knights of Columbus Assembly 913; biographical data, in English, Catholic Hierarchy; ; America's new red hat; Outstanding Characteristics of Archbishop Dougherty, Soon to Be Made Cardinal, The New York Times, February 27, 1921; his arms, Wikimedia; photographs and arms, Araldica Vaticana; photograph and biography, in English, flickr; photographs and biography in English, by rjschatz, Find a Grave; Cardinal Dougherty, cover of Time, February 15, 1937; his photograph at Villanova College, 1942; The Bishops of Philadelphia, History of the Archdiocese of Philadelphia. (1) This is according to Code, Dictionary of the American Hierarchy (1789-1914), p. 72; and his second biographical data linked above; Thronton, Our American princes, p. 100; and his first biographical data linked above, say that he was born in Homesville. (2) This is according to Hierarchia Catholica Medii et Recentioris Aevi, VIII, 419; Code, Dictionary of the American Hierarchy, p. 72, indicates that he was elected on June 10, 1903. Birth. December 29, 1864, Valencia, Spain. Son of Juan Benlloch y David and Carmen Vivó Sabater. From a very religious family in which his father's only two sisters were nuns; and his mother had a brother who was a priest and three sisters who were nuns. He is also listed as Joan Baptista Benlloch i Vivó. Education. Studied at the Seminary of Valencia. Obtained doctorates in theology and canon law in Valencia, October 1887. Priesthood. Ordained, February 25, 1888, Valencia. Auxiliary professor at the Seminary of Valencia and coadjutor in Almácera, town very near that city; later, for five years from 1893, pastor of the parish of Santos Juan Evangelista y Bautista, known as los Santos Juanes, in the city of Valencia. In the diocese of Segovia, professor at its seminary; chantre of its cathedral chapter; provisor and vicar general, 1899-1900; and vicar capitular, 1900-1901. Episcopate. Elected titular bishop of Ermopoli Maggiore and appointed apostolic administrator of Solsona, by decree of the apostolic nunciature, December 16, 1901. Consecrated, February 2, 1902, church of San Francisco el Grande, Madrid, by Jaime Cardona y Tur, titular bishop of Sion, military pro-vicar general and pro-chaplain of the Royal Palace, assisted by José Cadena y Eleta, bishop of Segovia, and by Salvador Castellote y Pinazo, bishop of Jaén. Transferred to the see of Urgel, December 6, 1906; as bishop of Urgel he was co-prince of Andorra and wrote the text of its national anthem. Promoted to the metropolitan see of Burgos, January 7, 1919. Cardinalate. Created cardinal priest in the consistory of March 7, 1921; received the red biretta from King Alfonso XIII, in the chapel of the Royal Palace, Madrid, together with neo-Cardinals Francisco de Asís Vidal y Barraquer, archbishop of Tarragona, and Francesco Ragonesi, nuncio in Spain; received the red hat and the title of S. Maria in Aracoeli, June 16, 1921. He was member of the SS. CC. of Sacraments, Propaganda Fide, Ceremonial, and Seminaries and Universities of Study. Participated in the conclave of 1922, which elected Pope Pius XI. Special envoy of Spanish government to the Latin American republics, September 1923 to January 1924. Death. February 14, 1926, from diabetes, after a long illness, in Madrid. Buried in the metropolitan cathedral of Burgos. Later, his body was transferred by train to Valencia and on May 3, 1931, buried in the basilica of Virgen de los Desamparados, at the foot of the miraculous statue, according to his personal wishes. Bibliography. Benlloch y Vivó, Juan. El arte y el culto : carta pastoral que el Cardenal Arzobispo de Burgos, dirige a sus diocesanos con motivo del VII centenario de la Catedral. Burgos : [s.n. ], 1921; Benlloch y Vivó, Juan. El gran pedagogo San José de Calasanz. 2a. ed. Madrid : "Revta. Calasancia" ; Hijos de J. Minuesa de los Rios, 1919. Responsibility: por el... Dr. D. Juan Benlloch y Vivó, Obispo de Urgel y Príncipe Soberano de Andorra; Benlloch y Vivó, Juan. Las misiones extranjeras, invitacisn Pontificia a Burgos : carta pastoral que el Juan Benlloch y Vivó ; dirige al clero y fieles de su archidiócesis.. Burgos : Tipografma de Polo, 1920; Benlloch y Vivó, Juan. La paz del mundo y la paz de Cristo : carta pastoral que el Dr. D. Juan Benlloch y Vivó. Obispo de Urgel y Príncipe Soberano de Andorra, dirige al clero y fieles de su diócesis.Seo de Urgel : [s.n. ], 1916. Note: "Burgos, 3 de Diciembre de 1920, Fiesta de San Francisco Javier, Patrsn de las Misiones. "; Benlloch y Vivó, Juan. Su pontificado en Burgos. Burgos : Tip. de "El Monte Carmelo", 1923. Responsibility: Emmo. y Rvdmo. Sr. Dr. D. Juan Cardenal Benlloch y Vivó; Echeverría, Lamberto de. Episcopologio español contemporáneo, 1868-1985 : datos biográficos y genealogía espiritual de los 585 obispos nacidos o consagrados en España entre el 1 de enero de 1868 y el 31 de diciembre de 1985 . Salamanca : Universidad de Salamanca, 1986. (Acta Salmanticensia; Derecho; 45), p. 65; Linares Málaga, Fausto. El Cardenal Benlloch en el Perú; reseña completa de las recepciones, discursos, ceremonias religiosas, homenajes y fiestas sociales. Lima : T. Scheuch, 1924. Responsibility: recopilación del dr. Fausto E. Linares Málaga; profusamente ilustrada con 186 grabados; Rojas, Diego Alberto. La basílica de la Merced : su historia y las festividades de su inauguración presididas por el eminentísimo cardenal arzobispo de Burgos Sr. Dr. Don Juan Benlloch y Vivó. Santiago de Chile : Impr. Cervantes, 1923; Seo de Urgel y Valencia : Crónica de las Fiestas celebradas en estas dos ciudades con motivo del XXV aniversario de la ordenación sacerdotal y solemne primera misa del Excmo. Sr. Dn. Juan Benlloch y Vivó, Obispo de Urgel y Príncipe Soberano de Andorra. Valencia : Hijos de F. Vives Mora, 1913; Villanueva Gutiérrez, Aduolfo. El cardenal Benlloch y los héroes del Callao. Burgos : Tip. de El Monte Carmelo, 1924; Villanueva Gutiérrez, Aduolfo. Crónica oficial de la embajada del cardenal eminentísimo señor doctor don Juan Benlloch y Vivó, arzobispo de Burgos, a la América española, 2 v. Valencia : Talleres tip. La Gutenberg, 1928. Webgraphy. Biography by Vicente Cárcel Ortí, in Spanish, Diccionario Biográfico Español, DB~e; biographical data, in English, Enciclopèdia Catalana; his statute and biography, in Spanish, Wikipedia; his arms, Araldica Vaticana. Birth. October 3, 1868, Cambrils, archdiocese of Tarragona, Spain. From a family of liberal professionals (ecclesiastics, lawyers and physicians) and rural property owners. Son of Francisco Vidal i Gimbernat and Angelina Barraquer i Roviralta. The other children were Josep, a physician; Paula, a nun; and Tomás, who died at seven. The first child, also named Francisco, died shortly after birth. Two of his uncles were priests. Education. At the recommendation of his uncles the priests, he studied at the Jesuit Colegio San Ignacio, Manresa, 1880-1885 (secondary education). Having decided to become a Jesuit priest, he agreed with his father's request not to enter the Society of Jesus immediately (he actually never joined it) and first studied law at the University of Barcelona; then, obtained a doctorate at the University of Madrid on September 24, 1900; dissertation: "El derecho de la guerra en Roma". He briefly practiced law in the office of noted lawyer Joaquán Almeda of Barcelona. For his ecclesiastical formation, he studied at the Conciliar Seminary of Barcelona, 1885 (licentiate in law); at the Pontifical University of Tarragona, 1895-1899. On May 1, 1898, he received the ecclesiastical tonsure and the first minor order from Archbishop Tomás Costa Fornaguera of Tarragona, who had a special predilection for him. The following year, he received the remaining orders from the same prelate. Priesthood. Ordained, September 17, 1899, Tarragona, by Archbishop Tomás Costa Fornaguera of Tarragona. Celebrated his first mass on September 21, 1899, in the chapel of the school of the nuns of the Sacred Heart in Sarriá. Pastoral ministry in the archdiocese of Tarragona and official of its archdiocesan curia: substitute fiscal of the metropolitan ecclesiastical tribunal, November 27, 1900; fiscal, May 5, 1905; provisor and acting vicar general, 1905-1909; canon of its cathedral chapter, September 19, 1907 until 1913; vicar general, 1909-1913; archpriest, 1910; vicar capitular, October 9, 1911, at the death of Archbishop Costa Fornaguera, until his promotion to the episcopate. Episcopate. Elected titular bishop of Pentacomia and appointed apostolic administrator of Solsona, November 10, 1913. Consecrated, April 26, 1914, cathedral of Tarragona, by Antolín López Peláez, archbishop of Tarragona, assisted by Ramón Barberá y Boada, titular bishop of Antedone, apostolic administrator of Ciudad Rodrigo, and by Ramón Guillamet y Coma, bishop of Córdoba. His episcopal motto was Diligite alterutrum. Senator of the Spanish kingdom for the province of Tarragona, December 20, 1914 to 1916. Promoted to the metropolitan see of Tarragona, May 7, 1919. Cardinalate. Created cardinal priest in the consistory of March 7, 1921; received the red biretta from King Alfonso XIII, in the chapel of the Royal Palace, Madrid, together with neo-Cardinals Juan Bautista Benlloch y Vivó, archbishop of Burgos, and Francesco Ragonesi, nuncio in Spain; received the red hat and the title of S. Sabina, June 16, 1921. Participated in the conclave of 1922, which elected Pope Pius XI. During the dictatorship of Captain General Miguel Primo de Rivera, he defended the freedom of the Church and maintained, together with the bishops of the ecclesiastical province of Tarragona, the Catalonian language as the normal one for preaching and catechesis. In 1924, he declined transfer to the see of Zaragoza; and in 1926, he declined switching sees with the bishop of Coria, Pedro Segura y Sáenz; as well as his transfer to Rome as Curia cardinal. Once the Spanish Republic was established in 1931, he was able to avoid the burning of churches and convents in Catalonia. He was elected head of the Spanish episcopate after the exile of Cardinal Segura, then archbishop of Toledo, primate of Spain. He tried, with little success, before the provisional government to mitigate the dispositions of the constitutional project that affected the rights of the Church; this in spite of the sincere friendship that existed between him and President Aniceto Alcalá Zamora. The revolution exploded in Tarragona on July 21, 1936. 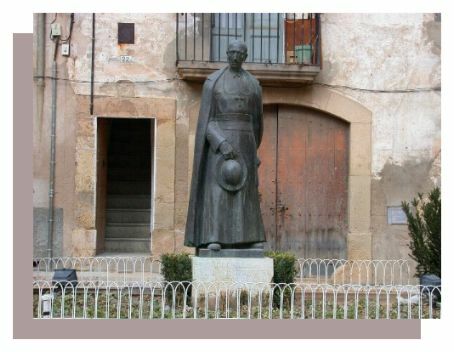 The cardinal was forced to seek refuge in Poblet as a guest of Eduard Toda i Güell. Some militiamen of the FAI from Hospitalet de Llobregat went to Poblet to look for him. Fearing for his life and not wanting to leave his archdiocese abandoned, he thought it was more appropriate to ask his auxiliary bishop, Manuel Borrás, to stay in Tarragona; but soon after, Bishop Borrás was assassinated. The cardinal was transferred to Barcelona with his personal secretary, Joan Viladrich; the counselors of culture and the interior of the Generalitat facilitated that the cardinal and his secretary could embark for Italy in a vessel of the Spanish Navy. The cardinal went to reside in the Carthusian monastery of Faneta, near Lucca; he stayed there until 1943. From exile, he worked with Cardinal Jean Verdier, archbishop of Paris, to achieve a negotiated and just peace in the Spanish Civil War. He asked for the papal intervention for the cessation of indiscriminate bombing from the Nationalist aviation on the civilian population in Catalonia. He interceded for the release of people who were in the hands of the Republicans, of the Franquists or those that the Vichy government wanted to surrender to Nazi Germany, independently of their ideology. He was one of the only five Spanish bishops who did not support the rising of Generalissimo Francisco Franco against the Republic, refusing to sign the 1937 Collective Letter of the Spanish Bishops. Participated in the conclave of 1939, which elected Pope Pius XII. His Catalonianism, good relations with the Republican authorities of Catalonia, and his refusal to sign the joint letter of the Spanish episcopate during the Spanish Civil War caused the government of Generalissimo Franco to forbid him from returning to his archdiocese of Tarragona. Generalissimo Franco lifted his ban on Cardinal Vidal in 1941, after he and the Vatican reached a concordat. However, the cardinal remained in Italy, and in 1943, the German occupation of Italy forced him to move to the Carthusian monastery of Valsainte, Switzerland. Death. September 13, 1943, Foyer Saint'Elizabeth, Fribourg, Switzerland. Buried in the church of the Carthusian monastery, Valsainte, Switzerland. In May 1978, following his will, his remains were transferred to the chapel of San Fructuoso, in the metropolitan cathedral of Tarragona, and buried near the tomb of Auxiliary Bishop Manuel Borrás, assassinated during the Spanish Civil War (1). The archdiocese of Tarragona dedicated the year 2013-2014 to the remembrance of the cardinal on the seventieth anniversary of his death. Bibliography. Echeverría, Lamberto de. Episcopologio español contemporáneo, 1868-1985 : datos biográficos y genealogía espiritual de los 585 obispos nacidos o consagrados en España entre el 1 de enero de 1868 y el 31 de diciembre de 1985 . Salamanca : Universidad de Salamanca, 1986. (Acta Salmanticensia; Derecho; 45), p. 75; Muntanyola, Ramón. Vidal i Barraquer. El cardenal de la paz. Barcelona : Editorial Estela, 1971; Raguer Suñer, Hilario M. ; Howson, Gerald. Gunpowder and incense : the Catholic Church and the Spanish Civil War. Uniform title: Pólvora y el incienso. English. London ; New York : Routledge, 2007. (Routledge/Cañada Blanch studies on contemporary Spain ; 11. Contents: 1. The religious question during the Spanish Republic: a polemical subject -- 2. The initial reasons for the rebellion: the military uprising of July 1936 -- 3. From the pronunciamiento to the Crusade: the consecration of the pronunciamiento -- 4. The initial attitude of the Spanish bishops: involvement of the Spanish Church in the Civil War -- 5. The initial attitude of the Vatican: the Vatican press in the Civil War -- 6. Collective letter: how the document originated -- 7. Persecution and repression: religious persecution -- 8. Stories of persecution and repression: Jesuits in the Red Levante -- 9. Franco's relations with the Vatican are strengthened: the arrival of Antoniutti -- 10. The third Spain: doves and hawks -- 11. The Republic desires reconciliation with the Church: a Basque Catholic in the government of the Republic --12. The exile of Cardinal Vidal i Barraquer: a veto against Vidal i Barraquer -- 13. The Church of victory; Vidal i Barraquer, Francesc; Batllori, Míquel; Arbeloa, Víctor Manuel. Església i estat durant la segona república espanyola : 1931-1936 : arxiu Vidal i Barraquer. Barcelona : Monestir de Montserrat, 1977. (Scripta et documenta ; 27; Scripta et documenta ; 28). Contents: 3: 14 d'abril - 21 de desembre de 1932. Webgraphy. Biography by Vicente Cárcel Ortí, in Spanish, Diccionario Biográfico Español, DB~e; biography, in English, Gran Enciclopèdia Catalana; same biography, in Spanish, Gran Enciclopèdia Catalana; biography, in English, Wikipedia; photographs and biography, in Spanish, Tinet.cat, Diputació de Tarragona; his statue in Cambrils, his native town; his photograph and arms, Araldica Vaticana; Il cardinale della pace by Manuel María Fuentes i Gasó, L'Osservatore Roman, Anno CLIII n. 294 (46.538), Città del Vaticano, domenica 22 dicembre 2013, p. 5. Birth. September 14, 1871, Haus Valbert, diocese of Paderborn, Germany. Son of Oswald Schulte and Antonetta Schlünder. Received the sacrament of confirmation, July 24, 1887. Education. Studied at the Seminary of Essen; and at the University of Tübingen, where he earned a doctorate in theology on March 5, 1903. Priesthood. Ordained, March 22, 1895, Paderborn, by Hubert Theophil Simar, bishop of Paderborn. Pastoral ministry in the diocese of Paderborn: vicar in Witten, 1895-1901; repetitor in Collegio Leonino and in the Major Seminary of Paderborn, 1901-1905; professor of theology, canon law, and apologetics in the Theological Faculty of Paderborn, 1905; official episcopal counselor, 1908. Episcopate. Elected bishop of Paderborn by its chapter, November 30, 1909; confirmed by the pope, February 7, 1910. Consecrated, March 19, 1910, cathedral of Paderborn, by Cardinal Anton Hubert Fischer, archbishop of Cologne, assisted by Michael Korum, bishop of Trier, and by Hermann Dingelstadt, bishop of Münster. His episcopal motto was In obsequium Christi. Apostolic vicar of Anhalt, April 12, 1910. Promoted to the metropolitan see of Cologne, March 8, 1920. Cardinalate. Created cardinal priest in the consistory of March 7, 1921; received the red hat and the title of Ss. Quattro Coronati, March 10, 1921. Participated in the conclave of 1922, which elected Pope Pius XI. Participated in the conclave of 1939, which elected Pope Pius XII. Death. March 11, 1941, of a heart attack, Cologne. Buried in the crypt of the archbishops in the metropolitan cathedral of Cologne. Bibliography. Feckes, Carl. Scientia sacra : theologische Festgabe zugeeignet Seiner Eminenz dem hochwürdigsten Herrn Karl Joseph Kardinal Schulte, Erzbischof von Köln, zum fünfundzwanzigsten Jahrestage der Bischofsweihe 19. März 1935. Köln : J.P. Bachem ; Düsseldorf : L. Schwann, 1935. Contents : I. Beiträge zur historischen Theologie: ein Kirchenkalender aus der römischen Titelkirche der heiligen Vier Gekrönten / T. Klauser. Der griechisch-lateinische Text des Galaterbriefes in der Handschriftengruppe DEFG / K.T. Schäfer. Die Umwandlung des heidnischen in das christliche römische Stadtbild / A. Kalsbach. Alberts des Grossen Kommentar zum Hohenliede / H. Ostlender. Thomas von Aquin über Teilhabe durch Berührung / G. Söhngen. Das Gutachten des Aegidius Romanus über die Lehren des Petrus Johannis Olivi: eine neue Quelle zum Konzil von Vienne (1311 bis 1312) / J. Koch. Das Problem der Existenz in idealistischer und romantischer Philosophie und Religion / T. Steinbüchel. Notes : II. Beiträge zur systematischen Theologie: Der dogmatische Beweis aus der Liturgie / J. Brinktrine. Das Fundamentalprinzip der Mariologie: ein Beitrag zu ihrem organischen Aufbau / C. Feckes. Zur moraltheologischen Beurteilung der Tagträume / W. Schöllgen. Die iustitia socialis: ein Beitrag zur Klärung des Begriffes / W. Heinen. Modernes Rechtsdenken und kanonisches Recht / J. Klein; Hehl, Ulrich von. "Schulte, Karl Joseph (1871-1941)". Die Bischöfe der deutschsprachigen Länder, 1785/1803 bis 1945 : ein biographisches Lexikon. Herausgegeben von Erwin Gatz. Berlin : Duncker & Humblot, 1983, pp. 680-682. Webgraphy. His portrait and brief biographical entry, in German, archdiocese of Cologne; his tomb in the metropolitan cathedral of Cologne; and his photograph, portrait and arms, Araldica Vaticana.